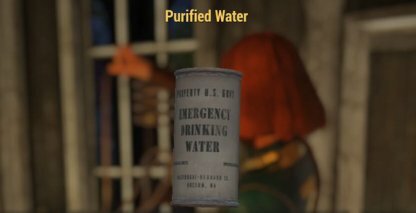 Learn how to get Purified Water in Fallout 76! Check out this guide to learn where to find / craft Purified water and its effects, as well as the different types of water in the game! 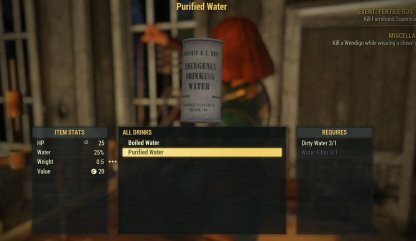 How to Find / Craft Purified Water? Players can create Purified Water in any Cooking Station or Chemistry Station. Having a Cooking Station at your C.A.M.P. will help give you a portable and convenient source of Purified Water. 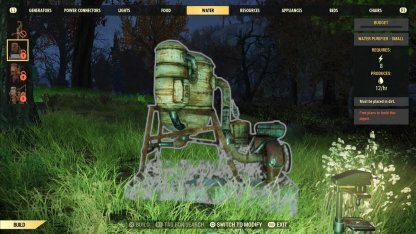 Having a Water Purifier in your C.A.M.P is the most convenient way of getting Purified Water. 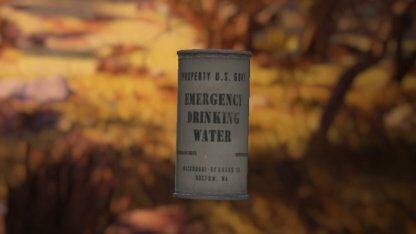 Just build a Water Purifier and every few in-game hours, Purified Water can be taken from its inventory. 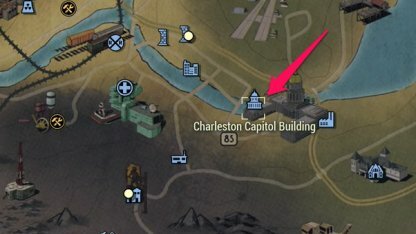 The notes for a Water Purifier is in the Overseer's Cache in the DMV section of the Capitol Building in Charleston. The area isn't ideal for beginners since it has enemies in mid-levels so be careful when going inside the building. Completing quests will net you a few items for free and this can include Purified Water! At the start of the game, you can collect more than 10 Purified Water just from doing quests. Unlike the other types of water in the game, Purified Water does not have any drawbacks when it is consumed. It does not do RAD Damage or cause any diseases. Drinking Purified Water will also heal the player for a bit of HP in addition to filling up the drinking meter. It's a good idea to drink it when you just have a bit of health gone. Purified Water is an essential material when creating diluted health items. You will need 2 Purified Water to create a diluted version of any of the healing items.